BRYAN EATON/Staff photo. 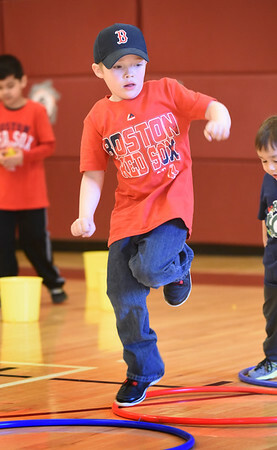 Seth Greenwood, 6, goes through an obstacle course at the Bresnahan School wearing a Red Sox shirt and hat. It was Spirit Day at the Newburyport school for the home opener and students are collecting coins for the Jimmy Fund all week.